What does CRM mean? Customer Relationship Management, or as it is more commonly known ‘CRM’, is one of the most widely-used yet misunderstood terms in today’s technology-enabled business environments. Put simply ‘CRM’ is a catch-all term that is most commonly used to describe software and related technologies that manage customer-facing business functions (most notably Sales, Customer Service and Marketing), business processes and data. Done right, CRM allows companies to increase both their revenues and profits while lowering the cost of marketing, selling to and servicing their customers. The payoff is clear - by better aligning business processes and managing customer data across all customer-facing functions, companies can build successful, profitable and long-term customer relationships. Unfortunately, however, CRM has also gained a bit of a mixed reputation – and one of the most-often-cited statistics regarding CRM is how often these solutions fail to meet their objectives. There’s no denying it – getting CRM ‘right’ – and making it successful – is a significant challenge. A CRM strategy is about much more than merely selecting the right technology - rather, it is a business strategy that may very well necessitate that you completely reinvent how your company does business. Yet while CRM is not without challenges, it also cannot be avoided – because after all CRM is ultimately about your customers. Despite the challenges, the fact remains that many companies – and that includes many Small and Medium Businesses (SMBs) – have seen tremendous success with CRM. 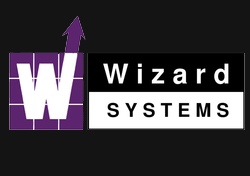 Wizard Systems is uniquely placed to help you decide on the best CRM solution. We have implemented 1000's of CRM systems since we began in 1993 when the 'CRM' industry first started. What's more, we are not a one product company. We have a range of different solutions to match your requirements and we supply all the help to get you started and to ensure your CRM project is 100% successful. The benefits of CRM come not only from the product you purchase, but also from the implementation plan you follow. And the more thoroughly you embrace a company-wide CRM project, the more your company will benefit from the features your CRM software offers. ​Thinking about a new CRM system for your organisation? Contact us today to start your journey.